Is the iPhone 4’s Reception-Killing Antenna a Deal-Breaker? 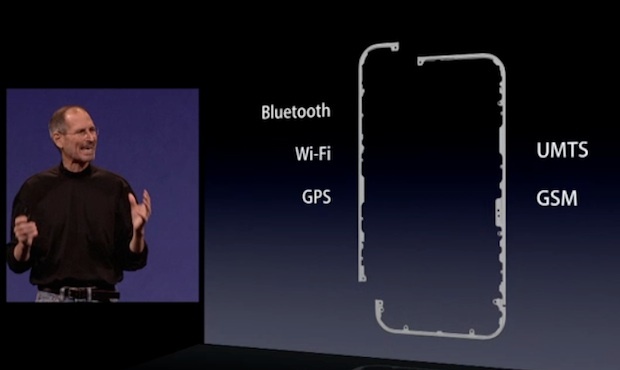 Sorry, lefties: If you hold the new iPhone 4 in a certain, fairly normal way, you’ll lose all reception and drop calls. Apple’s response is unhelpful–is this a deal-breaker? The new iPhone 4 hit the stores and streets today. With a gadget this popular (and there aren’t many), every tiny flaw gets blown up to apocalyptic proportion. Most of those issues turn out to be only a minor issue, either fixed in the next round of manufacturing or forgotten about in a few weeks. But the iPhone 4’s design flaw that causes it to drop calls might not be one of those issues. The iPhone is historically a not very good phone; it’s an amazing app device, a killer media player, a stellar mobile internet gadget, and kind of a lousy phone. The iPhone 4’s problems with voice calling go beyond typical crappy reception, though: There’s a legitimate design error here, one that Apple may or may not have known about, that causes dropped calls and a loss of signal through normal use. Let’s just say first that those responses are in no way adequate. It may be easy enough to adapt to the flaw (except for lefties), but that’s not the point: This is an error in design, and forcing customers to buy aftermarket accessories is an unfair solution. Yes, a similar effect has been observed in other phones, including the iPhone 3GS and Google Nexus One, but those don’t come close to approaching the severity of the iPhone 4’s flaw. The big question: Is this a dealbreaker? And what should Apple do in response? My personal opinion? It’s not necessarily a dealbreaker–but that doesn’t mean I think you should rush out and stand in line to get one. There are two smart options here. Smart Option 1: AT&T has a 30-day return and refund policy. Buy the phone, try it out, and see if you’re affected in normal day-to-day use. Some phones don’t seem to be affected, and some people (especially righties) just don’t hold the phone that way, and so wouldn’t notice. This won’t affect everybody, and if you’re dying for a new iPhone, it’s worth testing to see if you’re affected. I’ve talked to an AT&T rep, who says, basically, users unhappy with the iPhone 4 have 30 days to return it. They’ll have to pay for pro-rated service (one month of voice/data) and a 10% restocking fee, but will be refunded the full purchase price and allowed to cancel the new contract without paying an early termination fee. Smart Option 2: Wait a few weeks. If this is as nasty a problem as some make it sound, Apple will be forced to respond in some way, at which point you can make a more educated decision. I suspect either way that Apple’s next manufacturing run will include some kind of fix. Some users report that tape or nail polish on that corner will solve the problem–that suggests Apple could find a simple, cheap, and hopefully more elegant solution in manufacturing. Jobs calls this a “non issue”–I don’t agree, but I don’t think the flaw makes it a universal do-not-buy. I’ve used the iPhone 4; it’s a beautiful piece of hardware with exceptional software and a fantastic app ecosystem. There’s a lot to like about the iPhone 4; the reviews speak to that. That’s not to forgive the flaw, however. This voice calling issue is a problem, and not a small one. For some users, the iPhone 4 could be near-unusable, and with that in mind, Apple’s response is sort of insulting and brusque. This is the kind of flaw that’s easy for tech bloggers like myself to get worked up about. Some will demand a recall. But I think that’s an overreaction. The iPhone 4 will still sell in outrageous quantities and I think the general response from customers will be very pleased. For shrewd buyers, the smart move would either be a try-out, or to wait a few weeks until we see if Apple plans to fix this issue in future manufacturing runs. Oh, and Apple: Give out some free cases in the meantime. It’s the least you can do.